This second generation 1 Series continues one trend of its predecessor - its looks continue to divide opinion. That said, with the rest of BMW's line-up adopting a similar design policy, the 1 Series is no longer the odd car out. It's also matured under the skin, with improved engines and trademark Efficient Dynamics package promising increased fuel savings and there's a wealth of new technology to keep you entertained and safe when on the move. 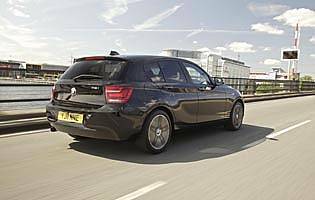 This second generation 1 Series has grown slightly over its predecessor but BMW's use of lightweight construction materials has ensured that it's lost, not gained, weight. This helps to further the car's eco-themed cause, as does its enhanced range of petrol and diesel engines. Recently BMW has become as well known for its frugal and clean engines as its performance angle. 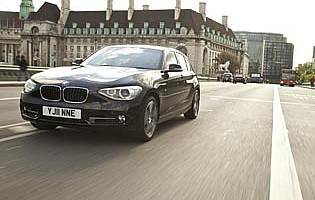 For business drivers the ability to spend less on fuel and road tax without compromising refinement and performance has earned BMW a newfound level of acclaim and respect. This 1 Series is a good example of the German maker's achievements. Boasting low a CO2 fuel consumption performance, the 116d in particular is an impressive all-rounder: quick enough in the real world yet exceptionally frugal when it counts. Appealing to tax-conscious business driver and cash-strapped private motorists alike, it's possible to drive a premium car without feeling the pinch. The car's slight increase in size solves one of the age old 1 Series issues - a lack of space. 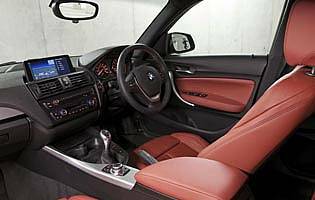 This time around the car is more accommodating, and there's now a genuine prospect of rear seat occupants feeling comfortable on longer journeys. 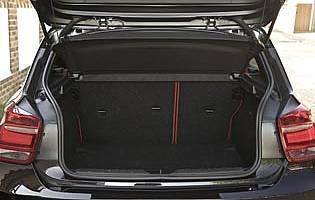 Boot space is also reasonable, although it's good to see that the car still boasts a relatively compact footprint - it's important that it remains city friendly for the many urban motorists the previous model was popular with. As second generations go this 1 Series is something of a slow burner; looks-wise it's certainly different but its character has shifted slightly. Now more mature, this is reflected in the way it drives and the added refinement might have keen drivers initially puzzled. Push on, though, and the car remains a willing performer. It's also become an impressive eco champion, boasting excellent economy and emissions figures.